Company is looking to provide VoIP calling card and callback services to its clients. The solution should be SIP based and support IVR over SIP. In addition, the solution should provide complete billing and customer management services. The company wants to invest a limited amount of capital to ensure proper business risk management and allow serious call volume processing. SysMaster Corporation offers VoipWare server that supports advanced billing services as well as IVR over SIP for calling card and Callback business types. VoipWare is a complete hardware/software integrated device with very attractive price tag and professional call processing support. Sysmaster VoipWare is an advanced VoIP billing server that supports industry- common billing functions and a user-friendly management interface. The system provides advanced function to operate and manage the billing part of VoIP business such as user, route, rate, system user, and IVR management. Sysmaster VoipWare offers IVR over SIP interface for calling card providers. The interface supports IVR over IP with advanced announcements of balance, call duration, call end, recharge options, caller ID storage, and other features. The system does not require phone lines to operate and is fully integrated with the SIP proxy server of the system to allow easy business deployment and IVR management. 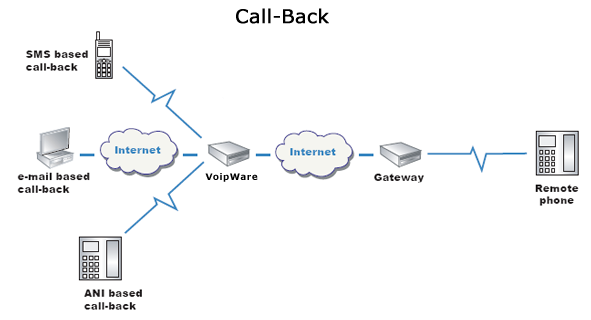 Sysmaster VoipWare provides advanced IVR over IP interface for Call Back business deployment. The system supports Web, ANI, and PIN Call Back options. All call back legs are billed separately to allow easy billing management. 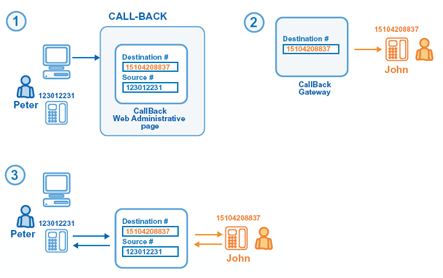 In addition, one call back request can initiate multiple destination calls for streamlined call back procedure. Sysmaster VoipWare supports built-in SIP proxy and Registrar that allows not only inbound and outbound call processing, but also registration of a large number of ATA/CPE devices and softphones. All calls are properly authenticated and processed based on account authentication parameters such as PIN, Caller ID and available balance. Sysmaster VoipWare has an integrated CRM Web site to allow quick business deployment. All CRM documents and forms can be managed by the system owner and since they are template-based their text and images can be changed on the fly. Custom designs are also very easy to develop. All documents are HTML/XML compliant and can be edited using a regular editor. Sysmaster VoipWare has a built-in SoftPhone program to allow the users to make calls from their desktop computers. The application is easy to manage and requires basic parameters to operate. The softphone includes SIP message encryption function to allow SIP traffic to be encrypted making it virtually impossible to detect. Sysmaster VoipWare offers Speed dial, Custom Route and Route Failover Functions to allow all customers to create favorite numbers and select these numbers by speed-dialing them. In addition, the application will also provide route-failover for easy termination of calls between multiple routes and increased ASR ratio. Sysmaster VoipWare offers ANI/DNIS based billing, Fraud Detection/Number blocking and Number Redirect Functions for easy inbound and outbound number mapping, management, and development of custom billing rules. In addition, these functions will allow users to create call forwarding and e911 processing rules. Sysmaster VoipWare supports SIP message encryption function that works with the SoftPhoen and other SIP ATA/CPE devices developed by SysMaster. The function allows all SIP call messages to become private and become virtually undetectable for ISP filtering and firewall servers. Sysmaster VoipWare is a fully sustained stand-alone solution. It includes all hardware and software components to function properly in professional environment. It allows easy business deployment and extremely time to entry for all customers. In addition, this is a product that targets price-sensitive customer segment and that is why it has a low price tag.